When someone tells you that Pitbulls have troubled reputation, you need to understand that it is only due to the upbringing. Pitbulls are usually very lovable and can be great companions. They are durable, smart and also adorable. If you are planning to adopt a Pitbull puppy, you are sure to fall in love with their cute stares and curious boops! 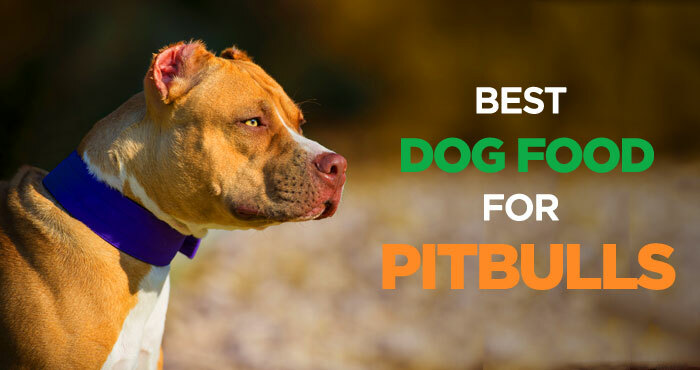 When it comes to your puppy’s nutrition requirements, you need to understand that Pitbulls are large breed dogs. Therefore, they need good quality protein and lots and lots of exercise. If you want your little Pitbull puppy to grow into a healthy and active adult, you need to provide the required protein from a very young age. Good quality protein will help in developing strong bones and immune system. Moderate levels of fatty food will also help in rapid growth. Keep a check on the carbohydrate level of your puppy’s diet. It should not be more than 25-30%. High levels of carbohydrate may upset your puppy’s stomach, causing diarrhea. Apart from protein and quality fat, you also need to give your puppy high levels of vitamin D and avoid overfeeding. So, what is the best food for your pup? Let your pup enjoy a tasty meal. 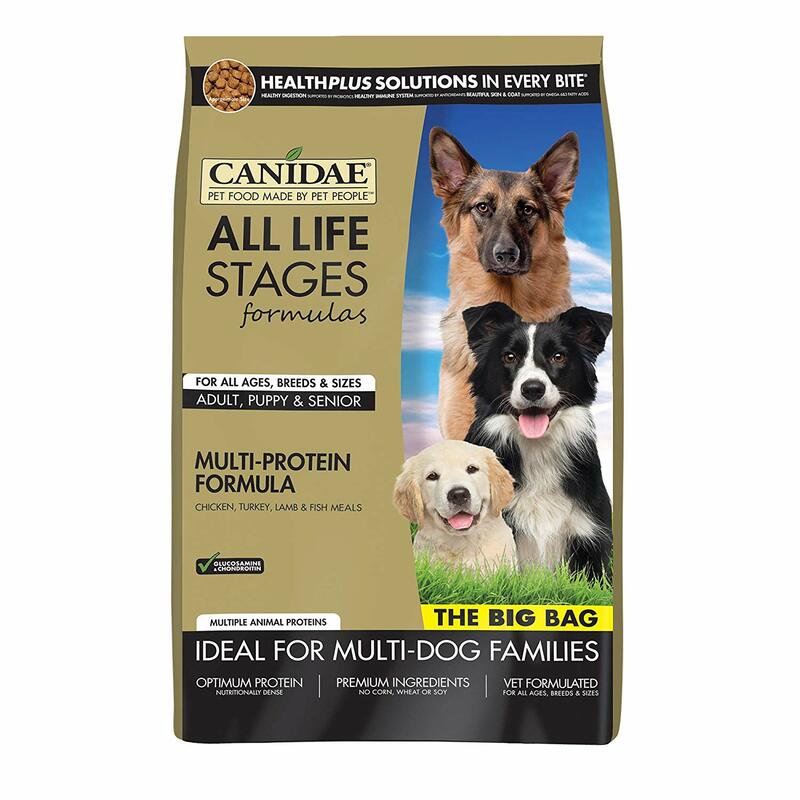 This dog food is formulated with high-quality protein and other beneficial ingredients for puppy’s holistic growth. The protein source of this dog food comes from lamb, turkey, chicken, and fish. The vitamin and mineral components help in building the bones and muscles. It also contains HealthPLUS Solutions, which is a combination of antioxidants, probiotics and omega fatty acids. 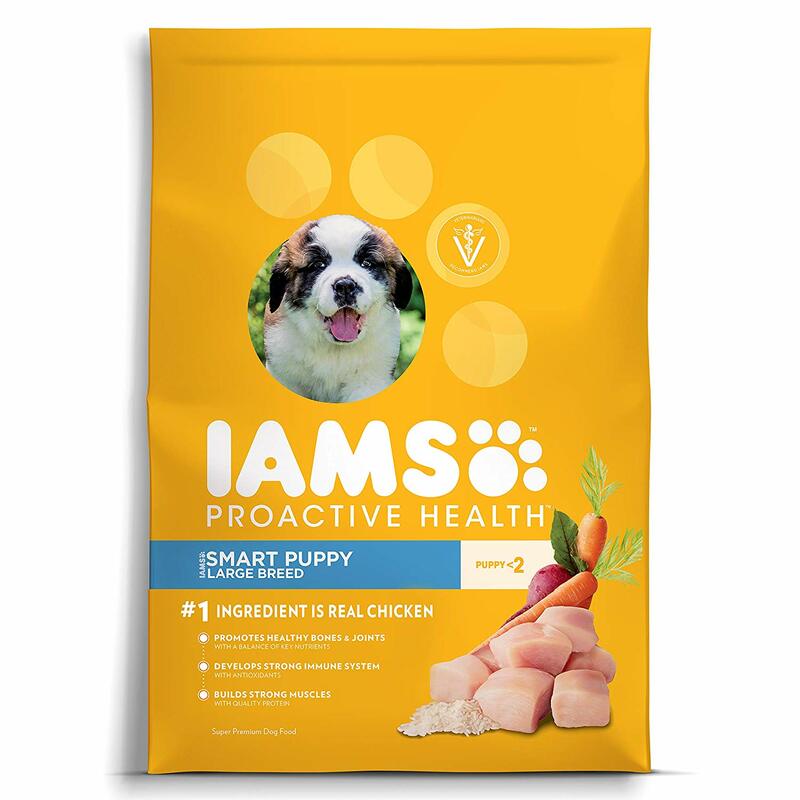 Iams ProActive Puppy dry food is specially concocted for large breed dogs. 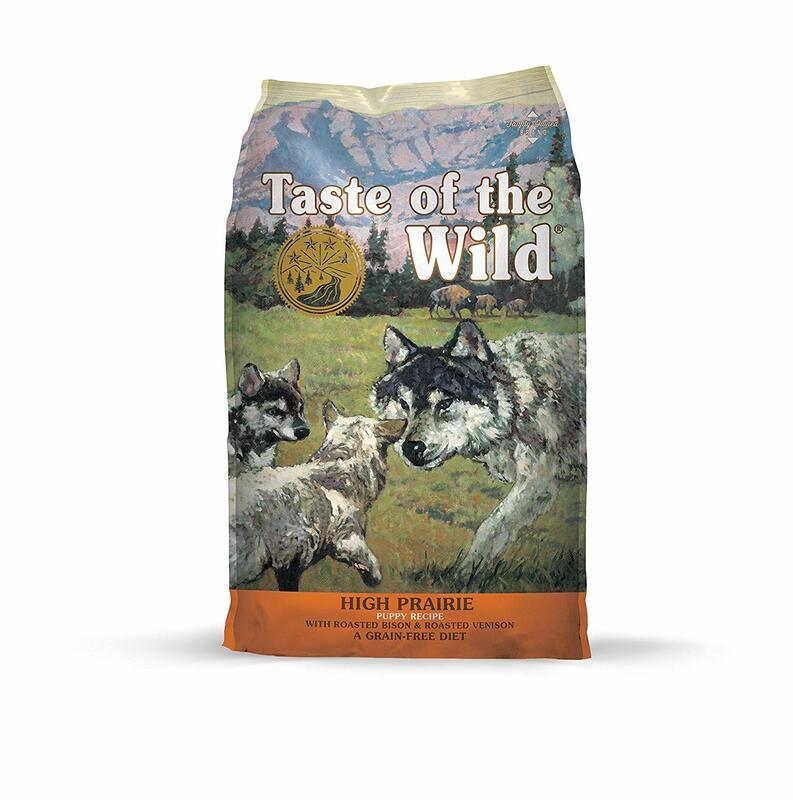 This kibble sized dog food is a fantastic treat for your pup. It helps in making the bones and muscles bigger and stronger. The protein portion of this dog food provides overall strength to your little puppy. It consists of DHA that supports in brain development. The adequate calcium levels in the diet help in strengthening the joints. Moreover, your pup will enjoy the crunchy feature and may help you in teaching them few tricks. You must know that your Pitbull pup is a carnivore. Therefore, providing them meat is something that is very crucial, to make them grow big, strong and healthy from within. This puppy food is formulated with protein-rich buffalo meat that helps in providing strength to the muscles. It is a natural grain-free diet that comprises of powerful antioxidants from real fruits and vegetables. It also has omega-3 and omega-6 fatty acids that enhance the quality of the coat and is easily digestible. If your puppy has a sensitive stomach, this is the best diet for him. 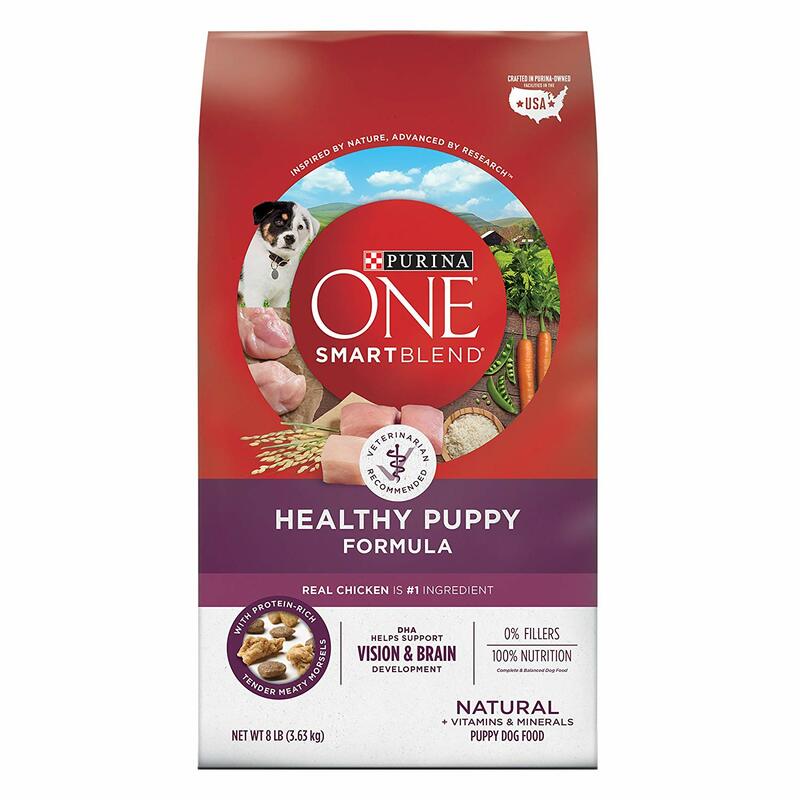 This puppy food is a perfect blend of taste and nutrition. The tender meat morsels provide high-quality protein. They are made from real chicken. The diet is very light on the stomach; therefore, it helps in making the bones strong and keeps the heart healthy. It consists of Vitamins E & A, which provides holistic health benefits. Moreover, the DHA makes the coat shiny. Let your puppy grow into a good looking smart adult with a flavorsome diet. 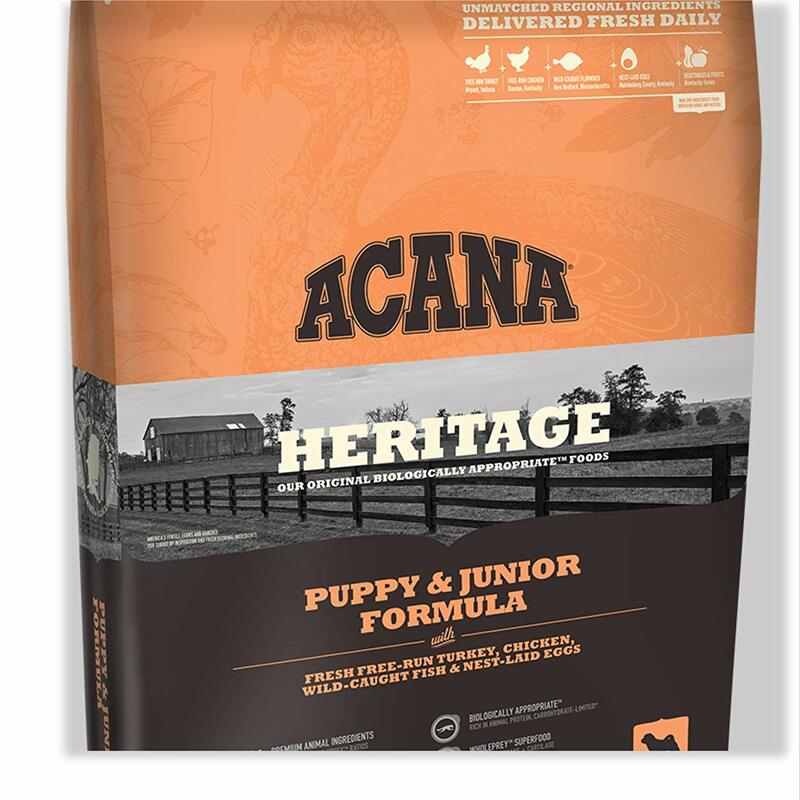 A right diet that is specially formulated from farm-raised produce, the Acana's Heritage Puppy & Junior dry food is filled with protein. This dog food helps in making the bones, muscles, and joints stronger, and enhances the quality of the short fur, making it shiny. It also makes the puppy smarted and can help them in learning clever tricks. If you have a picky little puppy, you may opt for Taste of the Wild Grain-Free High Protein dry food for your fussy eater. This diet is not just healthy, but it’s also delicious for your puppy. He will love this kibble sized diet. In fact, you can interest your dog in learning some smart tricks by treating them with this tasty treat.